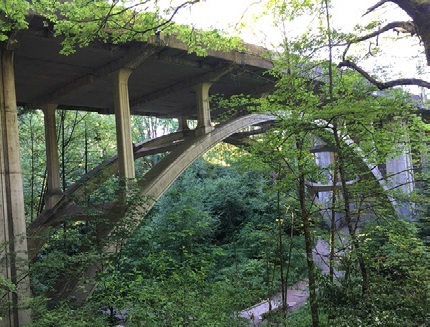 WSDNR Lower High Point Trail Bridge—RHC provided the final design and alignment alternatives, managed and led the final PS&E for the 30 percent, 90 percent, 100 percent and ready for bid package as well as provided construction technical support. The replacement bridge, a 200 foot long steel truss bridge, was located 30 feet above the creek and had unique curved columns on spread footings. WSDOT SR 520 Westside Corridor—For this project, RHC provided the concept design plans, preliminary engineering and cost estimates for structures in the corridors. The structures included two pedestrian bridges about 400 feet long and made of long, curved and post-tensioned box structures, one pedestrian tunnel about 200 feet long, over 20 retaining walls, one HOV ramp vehicular bridge designed for future Light Rail compatibility and stormwater structures. Other services provided included final design of a signal pole foundation, post-design design construction support for the West Approach Bridge North, refining structural design criteria and seismic analysis for bridges in the corridor. RHC performed vulnerability analysis for this 380 foot long bridge under strength and extreme event limit states, identified deficient elements, and recommended ductile and non-ductile retrofit strategies that considered the protection of the historical columns with unique architectural features. 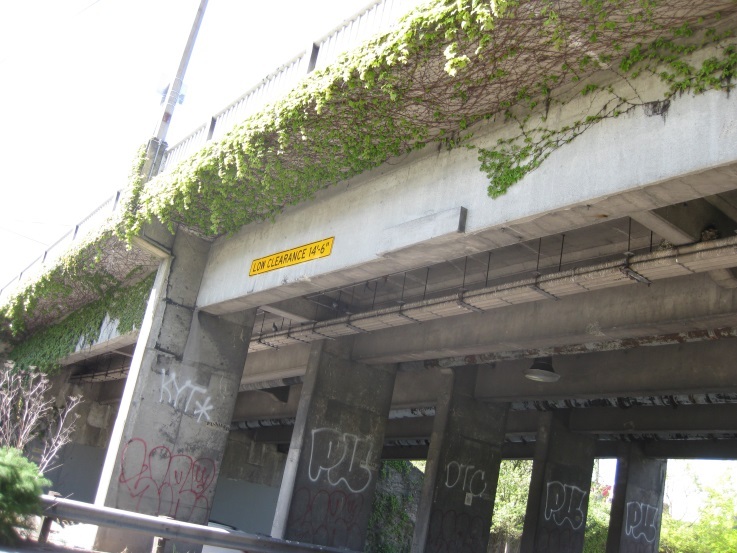 SDOT NE 45th Street Viadcut East Approach-RHC reviewed the existing bridge's lateral resistance system, performed vulnerability analysis and identified deficient elements on columns, crossbeams, and girders, and recommended retrofit strategies. The East Approach included five unique units of irregular, reinforced concrete superstructure including multi-cell box girders, T-beam girders, and reinforced concrete solid slabs. City of Bainbridge Island Pedestrian Bridges-RHC provided inspection and load rating for two pedestrian bridges, delivered replacement concept alternatives and a cost evaluation for one timber bridge that was identified structurally deficient. RHC's field inspection found a sway pier on the timber bridge, and load rating found deficient glulam girders that were previously rated as sufficient. Three replacement alternatives with cost data were delivered. SDOT West Dravus Street Bridge-RHC Engineering provided load rating for this two-span reinforced concrete bridge, performed field verifications of the bridge condition, and conducted a rating analysis that considered construction staging and SDOT’s special hauling truck. RHC also did independent QA/QC checks by comparing computer software output with hand calculations. SDOT Ship Canal Crossing Study-The Ship Canal Crossing Study project studied a number of different options to improve the West Seattle multi-model transportation and pedestrian experience over the Ship Canal. RHC Engineering studied two options of pedestrian and bicycle shared-use approach bridges over the Ship Canal. The study included alignment layouts, structural analysis and planning level bridge structural design while also overcoming many geometrical constraints for the approach landing.